Do you need help with meeting rent expenses for your apartment or house? Local, state, national governments as well as some charity and non-profit organizations are ready to offer rental assistance. Some offer direct rental and some offer financial assistance to help supplement the rent money you can afford. Other groups provide referrals. Some help you with signing up for funding from government or private sector support money. 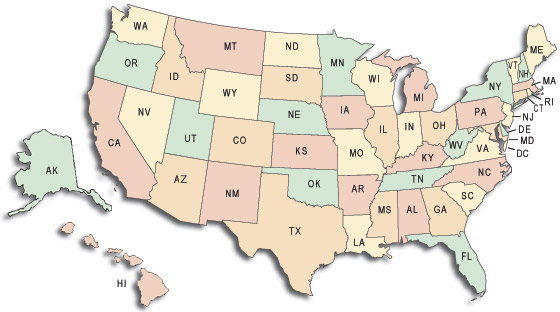 Local and State Rental Assistance - Several state and municipal governments have rental assistance agencies and/or public assistance programs to help you meet those rent payments, to fund your security deposit and/or to supplement other housing costs. Some examples are: Florida EGHAP, Texas TDHCA and Massachusetts RAFT programs. Federal Stimulus Program - The US government has allocated billions of dollars to a rental assistance stimulus program. Called Homeless Prevention and Rapid Re-Housing Program it distributes money at the municipal government level. Local social services, county governments, charities and non-profit organizations can help families apply for rental assistance through this program. Privately owned subsidized housing: The government (HUD) gives funds directly to apartment owners, who lower the rents they charge low-income tenants. You can find low-rent apartments for senior citizens, people with disabilities, as well as for low-income families and individuals at Affordable Housing Apartments. To qualify, you can earn no more than the income limit. Once you find the apartments that interest you, you can apply directly at the management office. The website also have standard apartment and rental listings if you are not quality for the subsidized program. Public Housing - affordable apartments for low-income families, the elderly and persons with disabilities. Housing Choice Voucher Program (Section 8) - find your own place and use the voucher to pay for all or part of the rent. USDA Rural Development - This department offers rent assistance to struggling low-income rural families. Veterans Affairs Supportive Housing Program - This organization provides help with rental costs through vouchers and security. It assists veterans and their family members. Private Charities and Non-Profit Organizations - Non-profit private organizations and private charities offer information on how to access government rent assistance and/or offer short-term, one-time, emergency rent assistance grants. Example organizations are: Salvation Army and United Way, American Red Cross, Catholic church organizations, and local churches. Note: We are not a goverment agency and not associated with HUD.